Saving Buffy and Her Friends, is an ongoing project-At least until the middle of October when we go in front of the Administrative Judge at the zoning hearing. Homesteading with Back Yard Chickens has become a hot topic in many jurisdictions, with one of the primary arguments against is health issues caused by or acquired by the flock. To humans, there are two main issues: Avian Flu and Salmonella. Both of these are tested for by the veterinarian with a simple blood draw from the birds. Since the majority of backyard flocks are very small-two to ten birds-this is really not an expensive process, but well worth it. If groaning neighbors complain and play the health card, it is very good to have the signed clean bill of health from the vet. We have a local vet that will make house calls for our birds, but the initial blood draw and general health inspection will be done at his office. It is not going to be fun toting seven birds to the vet, but I want to be sure I have covered all my bases for anyone that may show up at the hearing screaming health issues. The birds being disease free is just one issue that needs dealt with. Keeping the birds in a disease free environment is another. Building and maintaining a proper coop is a good start. 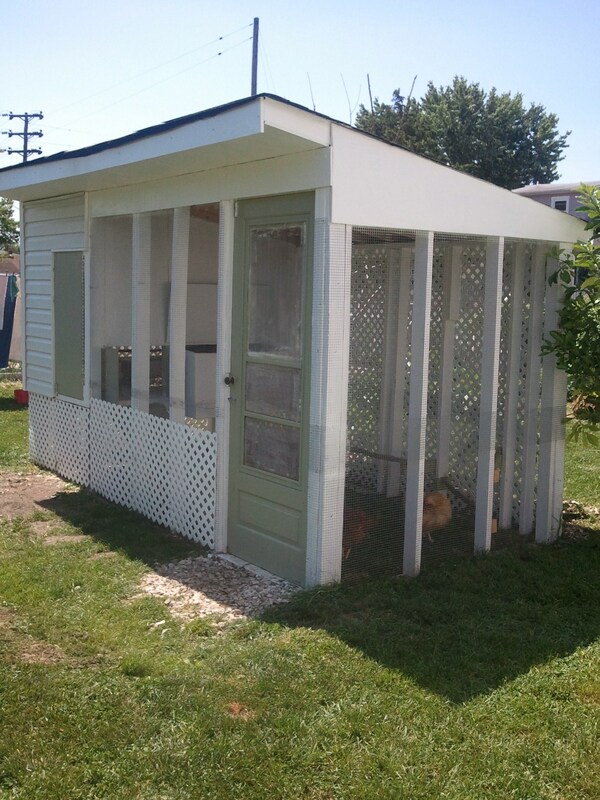 We built our coop to match our house and out-buildings-basic white with off white vinyl siding-which makes it fit well with our property as well as the make-up of our neighborhood. No one can make negative comments about how our coop looks within our yard. 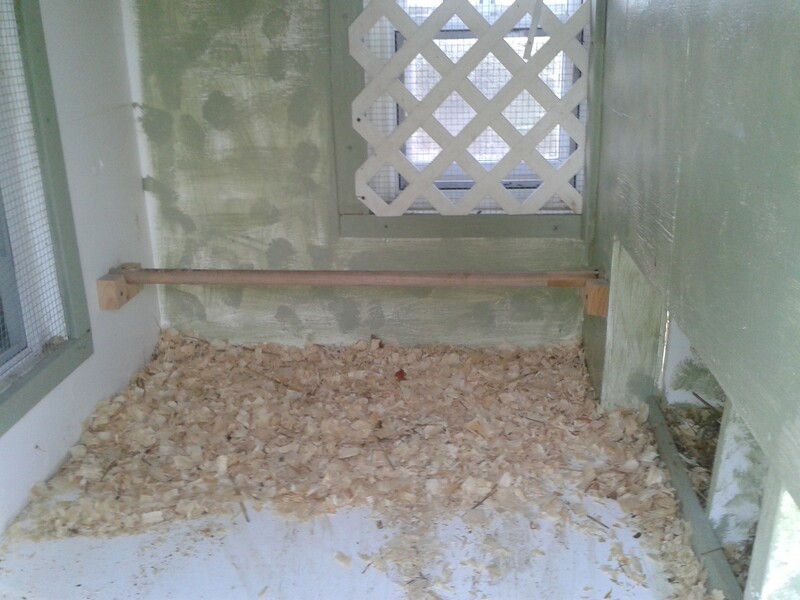 But looking nice is only half the battle as the coop must be easy to clean and maintain. We clean out our coop daily to insure there is no build-up of droppings, but also to add the droppings and wood chips into our compost bin. 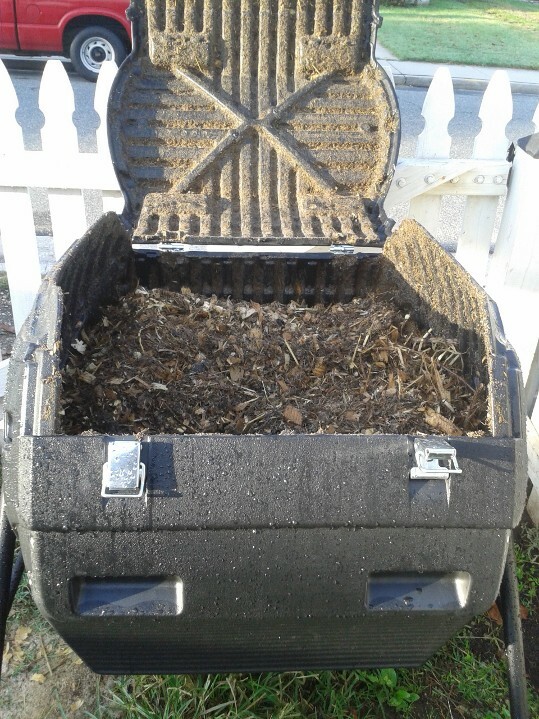 Both the wood chips and droppings aid our composter to produce a rich soil in as little as 14 days. Speaking of chicken droppings, this seems to be a real hot spot when it comes to complaints. Bringing up this argument just shows how little the average person knows about poultry. Chicken Manure provides Nitrogen, Phosphorus, and Potassium to the compost which is in perfect combination for any any garden: Vegetable or flower. The same cannot be said about dog or cat feces, which must be scooped and discarded in the garbage. Most domestic animal feces will cause health issues if not properly disposed-usually meaning the landfill. Actually in 1991 the EPA (Environmental Protection Agency) labeled dog feces as “a non-point source pollutant” putting it in the same category as herbicides and insecticides. Using the FDA formula, our 7 hens would average droppings of less than 1/4 cu ft per day(.0035 X 7 = .0245) less than that of a single average dog. Rodents love animal droppings, but more along the line of dog and cat droppings. Chicken droppings are not as “tempting” to any local rodents, but we do clean our yard daily of all droppings. This is one of the last things I do in the evening when the girls are heading off to bed. They are very predictable, as the sun begins to set, they will head toward the coop to get on their favorite perch for the night. When they go inside, I lock up the coop and spend 5-10 minutes walking the yard for droppings to add to the compost bin. One of the reasons we decided to get chickens was for the droppings. In past years, I was purchasing droppings from a local farmer by the truck-load. This meant having to pile the manure in the yard and use it in the composter a little at a time. Getting the chickens meant that the manure would be “made” a little each day eliminating the pile, while also eliminating the opportunity for rodents to think the pile was their personal restaurant. 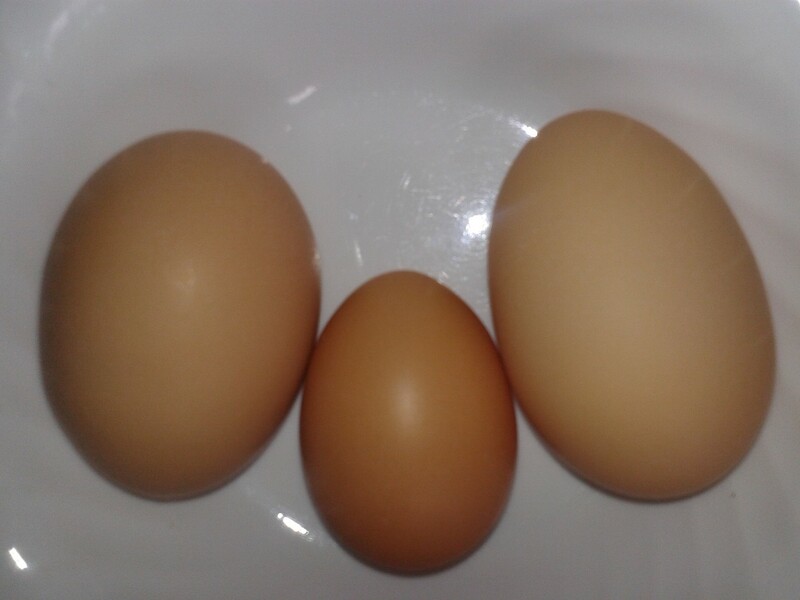 Our eggs, which currently are produced at a rate of about 3 dozen a week, range from large to extra-large, to what I call Ginormous. Of course our homestead of 5 cannot eat this many eggs, so we are very willing to share our bounty with many neighbors who are very appreciative of the healthier, better tasting eggs. As well as being great pets, chickens add healthy things to our life: Healthier eggs, and high quality manure for growing bigger, better vegetables. So keep the chickens healthy with the help of a knowledgeable vet and they will add immensely to any homesteaders lifestyle.